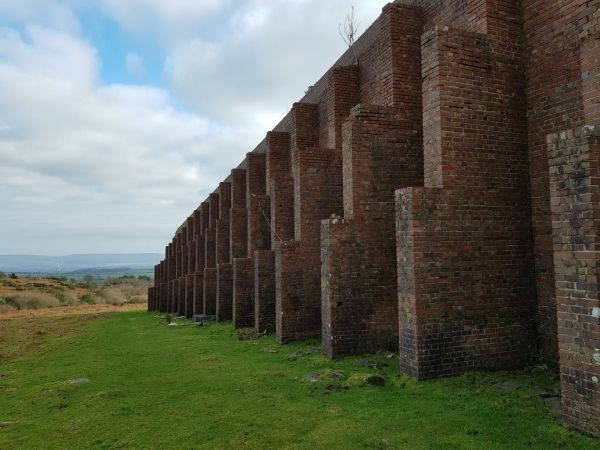 The Army rifle range just next to Rippon Tor is a fascinating place to visit. There are many people who dislike its presence and would prefer to have it razed to the ground, along with all of the other signs of military presence on the moors. There are an equal number of people who accept its looming structure as just one more item that makes Dartmoor so amazing to explore. 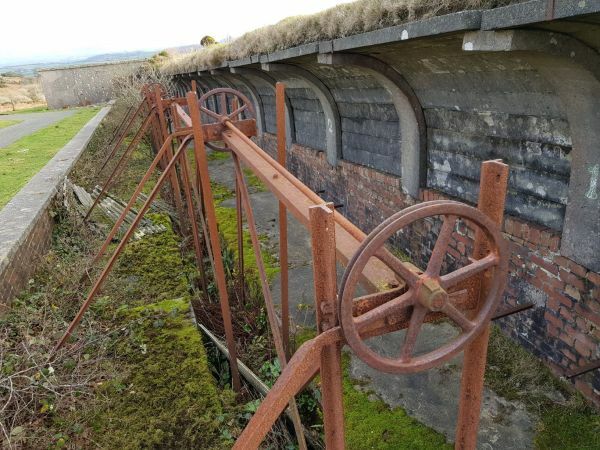 It was built in 1942 and was used for twenty years or so for the Army to practice target shooting. There’s no doubt about it, it is an impressively large structure that can be seem from a long way away. Its brickwork and ironwork are great to explore but maybe not to camp near; Blonde Two felt distinctly uneasy being so close to it. Although now it is obviously gathering dust (and moss and lichen) it still commands the surrounding area and demands attention from passers by. I’m pleased that Dartmoor is home to such a diverse range of structures and objects and I will continue to explore and enjoy them. Well, it must be a good landmark when navigating?